Looking ahead, a vision for the west campus parking that scales back the west campus parking surface to replace asphalt with a 30 metre naturalized buffer zone that would eliminate surface run-off and catch basin drains that empty polluted water directly into Ancaster Creek. 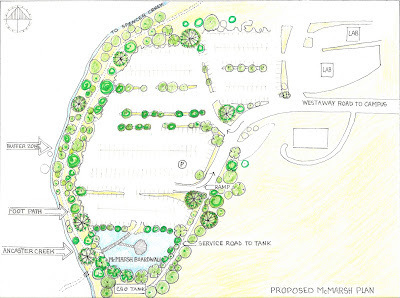 At the lower end of the image is the area of the parking Lot M closed for over 4 years for a Hamilton Combined Sewer Overflow (CSO) tank construction project; the vision for this section is phase one of an outdoor multi-disciplinary research and teaching facility that would focus on wetland restoration. 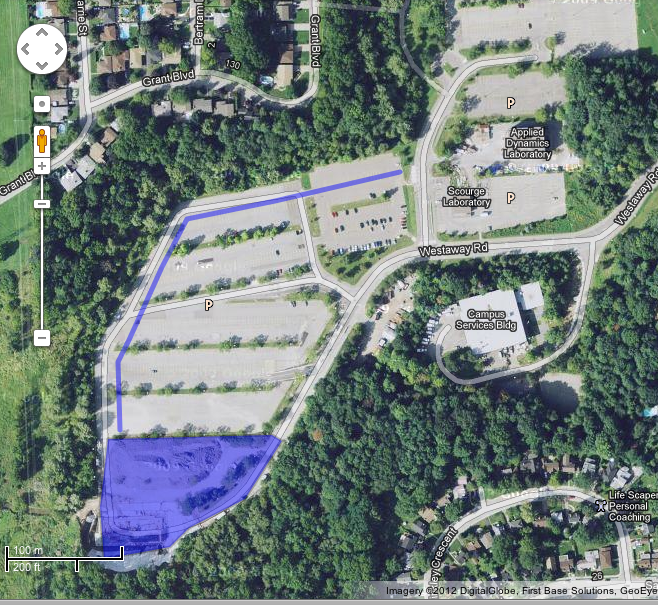 As we know, the entire area of Lot M is the floodplain for lower Ancaster Creek, which was lost in the late 1960s as McMaster University wrested the property from the Royal Botanical Gardens (RBG) to create parking atop what was known as Coldspring Valley Nature Sanctuary. The spring creeks were diverted, Ancaster Creek was moved into a new channel to create more space for parking, the low lying land filled in, and we've been paying the environmental costs ever since. McMaster has indicated that the 30m buffer will begin this spring, although no sign of construction has appeared to date. 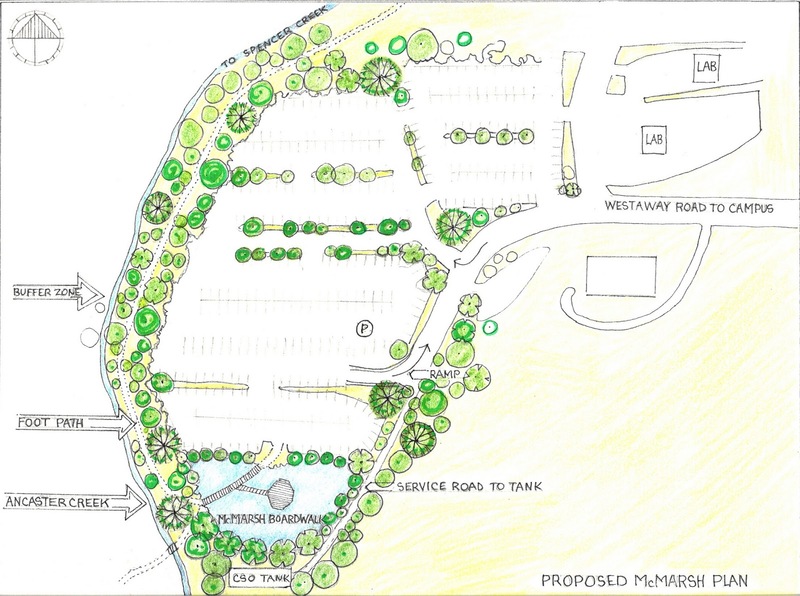 Thanks to Judy Major-Girardin of McMaster's School of the Arts (who put on the stunning Project Paradise we enjoyed so much recently) for the rendering of the transformed parking lot.